Pike feed actively throughout the year and are a popular target of ice fishermen. Muskies feed much more sporadically in winter. 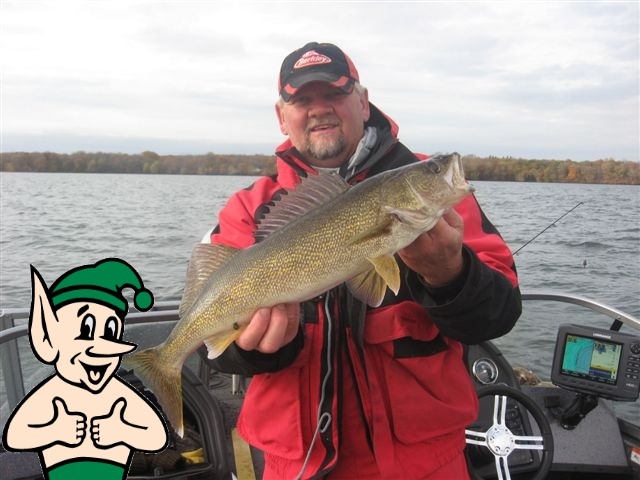 What a beautiful Walleye pulled in recently on Mille Lacs Lake in North Central Minnesota. The Gremlin gives this one a double thumbs up. Put a coat on Gremlin. Walleye fishing on Mille Lacs in October can get a little cold.